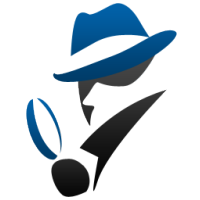 In this season of big credit card bills and constant requests to ‘Spend, Spend, Spend’ we have a little treat for you that won’t cost a penny, a new version of Agent Ransack (and of course FileLocator Lite). For anyone who had any, slightly odd, nostalgic affection for the badly drawn wire frame Agent Ransack icon I’ve some bad news… we have a new logo. It’s a huge improvement and should work much better on dark backgrounds. But that’s not all, almost all elements of the User Interface have been given a make-over and look much better. The Contents View is now broken up into three tabs. 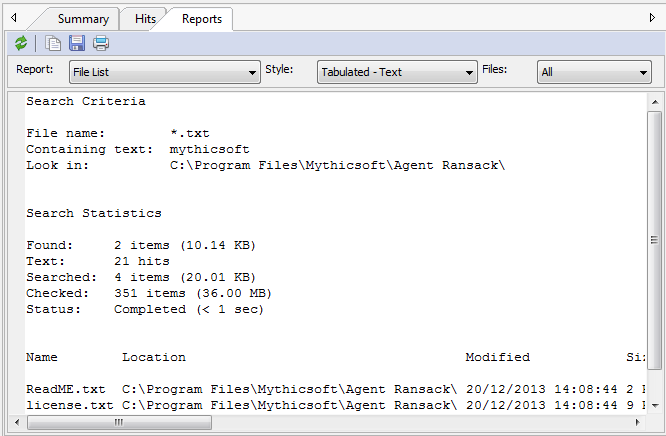 The standard Summary and Hits tab, which you’ll recognize from previous versions, and now a new Reports Tab. The Reports tab provides a convenient way to copy/save text information from search results. It’s sort of like Exporting with a preview. There’s a small but important license change. The product is still completely free for personal or commercial use but we now require that commercial users register the product. We don’t think that’s too much to ask for a free product. Since this release has been built on top of the latest FileLocator Pro core search engine there are many small improvements, too many to list. Things like better icon handling so that SolidWorks shell extensions stop causing problems, better PDF searching, hit counts, improved memory management, exporting to Unicode formats, improved CSV exporting, support for UI internationalization, better folder browsing, and much more. Give it a try and I think you’ll agree it’s a nice improvement. Finally, a big thank you to all the enthusiastic Agent Ransack supporters who have sent us feedback over the last year. Every email is read and goes to forming the direction for future development. This entry was posted in Misc on December 23, 2013 by dave. 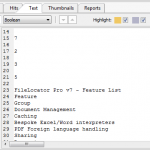 I’m really pleased to announce that FileLocator Pro version 7 is finally here! While IFilters work pretty well they don’t always work perfectly. They require a separate install, can often get confused by complicated formatting, and don’t provide text in a format intended for display. 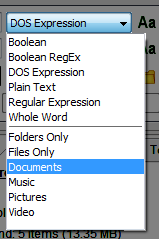 Therefore FileLocator Pro now has bespoke filters for Word and Excel files for improved text accuracy and formatting. As you can see in this simple Excel example it makes quite a difference. However, if you decide you prefer the IFilter format you can revert to it in the Configuration settings. While FileLocator Pro’s multi-thread searching algorithms are lightning fast they can still be slowed by the need to convert large documents into text every time they’re searched. 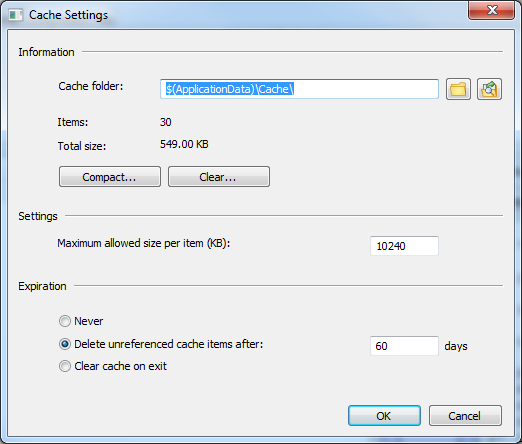 Version 7 introduces a new Document Caching functionality that allows FileLocator Pro to store converted text in a caching database for use in subsequent searches. This worked so well for one our beta testers, where search times over 26,000 PDFs went from over 5 minutes down to just 10 seconds, that they were able to use cached searches instead of going with an indexed search solution (avoiding with all the headaches associated with indexing). Reporting has long been a feature we’ve been looking to add to FileLocator Pro. Although it’s always had the ability to print the Hits tab or export to a file any form of customization required quite a strong technical ability. 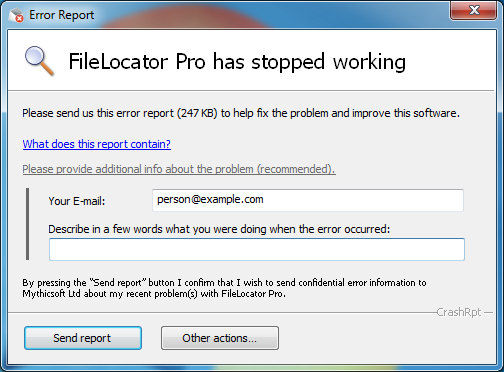 Not anymore, FileLocator Pro now includes a dedicated Reporting tab, with reports for Files, Contents, and Keywords. Each report can be customized and is available in numerous styles and formats, e.g. CSV, HTML, Text etc. There’s much more we would like to do with Reporting but as always we’ll be guided by your feedback. If I’m honest this was a self-indulgent feature. Something I really wanted, and actually delayed the release date for. It’s a simple idea, following a search you can filter the files listed by entering filters in the column heading. Every column can be filtered on the text within the column but date-time and numeric columns can also be filtered on ranges, e.g. > 20KB < 100KB. Try it out, I think you’ll like it. Working with large result sets can take time, sometimes days. Version 7 adds a new Session/Workspace feature so you can save your search results and then re-load them back into FileLocator Pro at a future time. 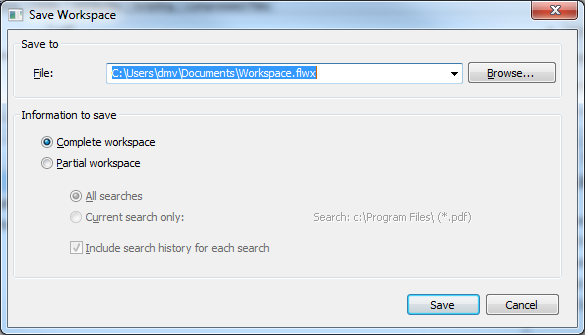 It allows you to save just a single search tab (a Session) or all the open search tabs (a Workspace). Search Again Ever found yourself copying text from the Text tab and pasting back into the Containing Text field to do another search? Well now you can simply right-click on the word and click the new Search Again menu option. The search will be re-run with the new word replacing what was in the Containing text field. LINES Operator If you find yourself only wanting to search the first X lines of each file you’ll love the LINES operator. It can be used to limit the lines a following expression can appear in, e.g. 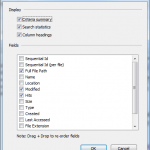 Include filename in search Prior to version 7.0 FileLocator Pro only searched the contents of a file for the term in the Containing Text field. This new option adds the file name to the contents when evaluating the search. Note: With a preset selected the file name field is treated as a Boolean expression. Over the last ten years FileLocator Pro has morphed and grown through great continuous feedback from you, our customers, to the fantastic product it is today. But in some ways we’ve only just started. We’ve literally hundreds of features we’re going to be adding over the NEXT ten years. All of them focused on one thing, helping you work better by finding your data faster and easier! “Just please tell me you didn’t do anything to slow it down. FL is bar none the fastest grep utility for Win. Please don’t do anything to bloat it up or slow it down.”. It’s a good point and one we take very seriously, we understand it’s one of our key selling points. In all aspects of performance from application start-up and core search times to memory foot print we regularly compare the latest version to old versions just to make sure we haven’t inadvertently introduced any issues. The improved accuracy and layout with the dedicated Word and Excel processing can occasionally result in slightly slower times than with Office IFilters but in our tests it wasn’t significant and was worth the small performance penalty. However, if you want the same Excel/Word processing as v6 just set the IFilter Search Priority to Primary in the IFilter Settings. While we’re talking about performance, during this v7 release we’re going to be doing some profile guided optimization work to see if we can squeeze out another 5-10% speed improvement. I’ll keep you posted on that work. Avast Win32:Evo-gen [Susp]: Some customers have been reporting issues with Avast anti-virus flagging the FileLocator Pro download EXE as Suspicious and deleting it, and then blocking any subsequent links to the download. Apart from how this makes us look we can only imagine how nervous it makes our customers feel, not the sort of experience you want for your sparkling new product update. Unlike Norton, Kaspersky, and AVG Avast don’t have an ISV white-listing program for ISVs to clear their software before publishing and Avast’s support has been painfully slow in responding to our (numerous) requests. For now we can only apologize and thank you for your patience. 30 Sep 2013: We received an email from Avast this morning “False positive detection. We are sorry. Our virus definitions has been updated.”. So, if you’re still having problems please update your virus definitions and try again. If that doesn’t work please contact Tech Support and we’ll look into it. This entry was posted in Misc, Mythicsoft on September 24, 2013 by dave. Daddy, playing Frisbee is bit like eating fish and chips. Throwing a Frisbee is like eating a chip but catching one is like eating a bit of fish. Which made me think. What can I compare to fish and chips? Adding a new feature is like eating a chip but fixing a bug is like eating a bit of fish. Hmm, it’s not quite the same is it? Ps I bet you thought that would’ve been the other way around. This entry was posted in Misc on May 29, 2013 by dave. As I was becoming increasingly annoyed with a non-functioning app the other day I couldn’t help but wonder whether I was pushing the Cancel button just to say I was there? It obviously wasn’t doing anything so why did I keep pressing it? I guess I was just desperate for an acknowledgement from the app that it ‘knew’ I was trying to do something. I just wanted some feedback. Feedback is critical. Whether it’s an app providing feedback to a person or a customer providing feedback to a company, feedback is empowering in so many ways. I vividly remember the early days of Agent Ransack. As a lone developer releasing a new app into the big wide world of April 2000 I had no idea that what I was doing was truly worthwhile. I don’t think it’s an exaggeration to say that without the compliments, suggestions, and feedback from users around the globe Agent Ransack wouldn’t have survived. This entry was posted in Misc on March 6, 2012 by dave. Joining the social media party – fashionably late? Over the next few months we’re going to be adding social-media functionality to the web site. Today’s first small step was to add twitter links but more is planned. Now I realize that we’re hardly blazing a social-media-engagement trail here but better late than never. Please let us know how you think we’re doing and what we’re missing. This entry was posted in Mythicsoft on December 9, 2011 by dave.